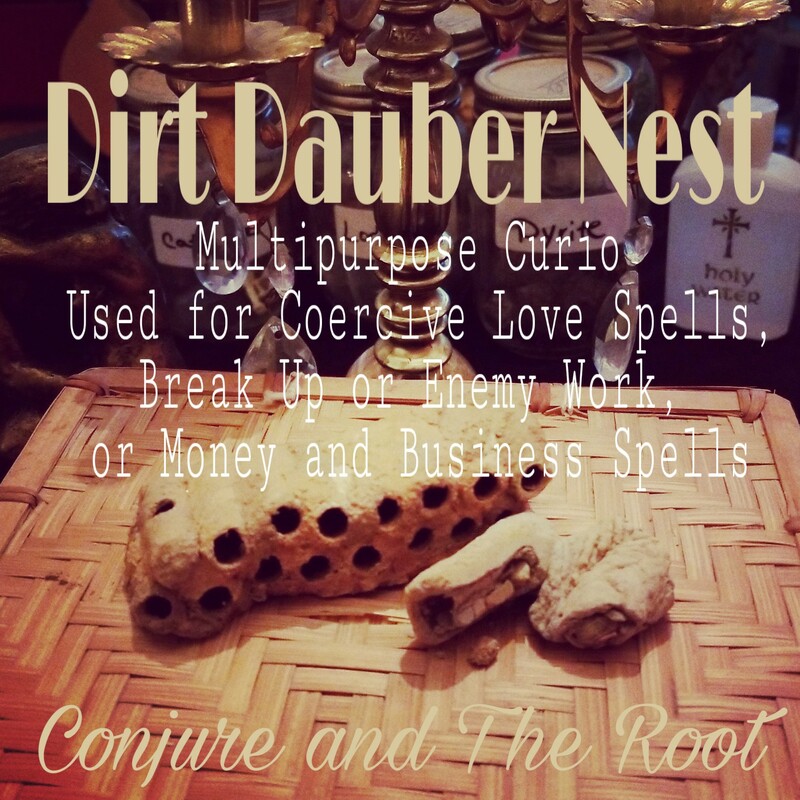 Curios are objects that are used in hoodoo as part of a gris gris bag, jar spell, simple tricks, ritual bathing, and other types of spell work. 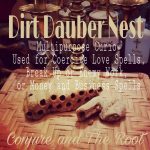 Curios can be herbs, whole roots, minerals, animal parts, or other symbolic items that bring a certain intention to the spell’s goal. 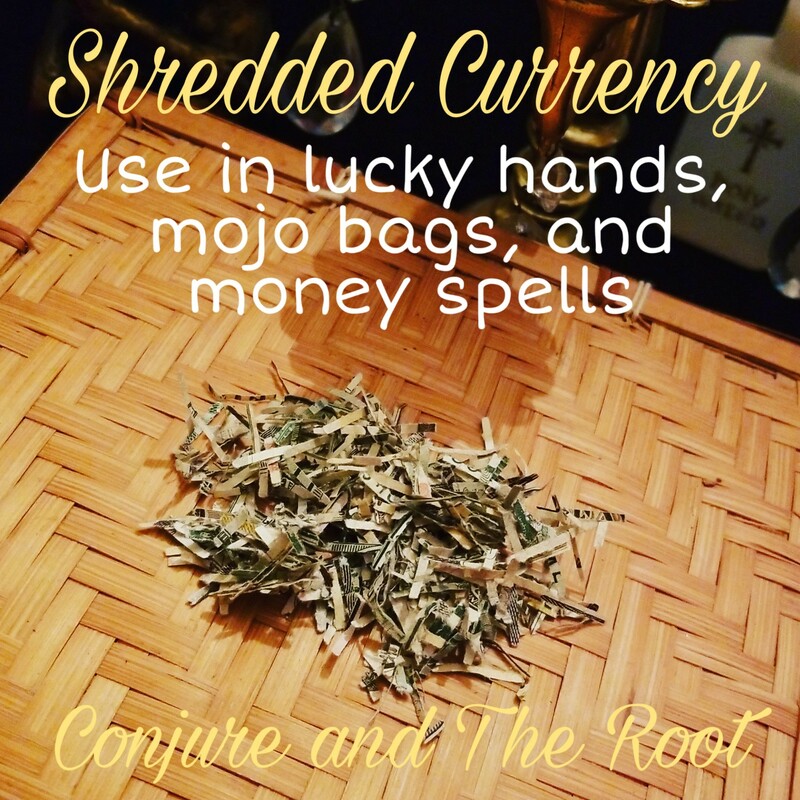 Just as herbs and roots have medicinal and symbolic magickal purposes, curios are also believed to carry symbolic magickal purposes. For instance, a pair of lodestones (magnetite) are rocks that are natural magnets, one side having a positive and the other a negative. A pair of lodestones that fit perfectly and draw each other in like magnets are used in love work to represent two (potential) lovers with the intention that they will be drawn to each other like magnets. 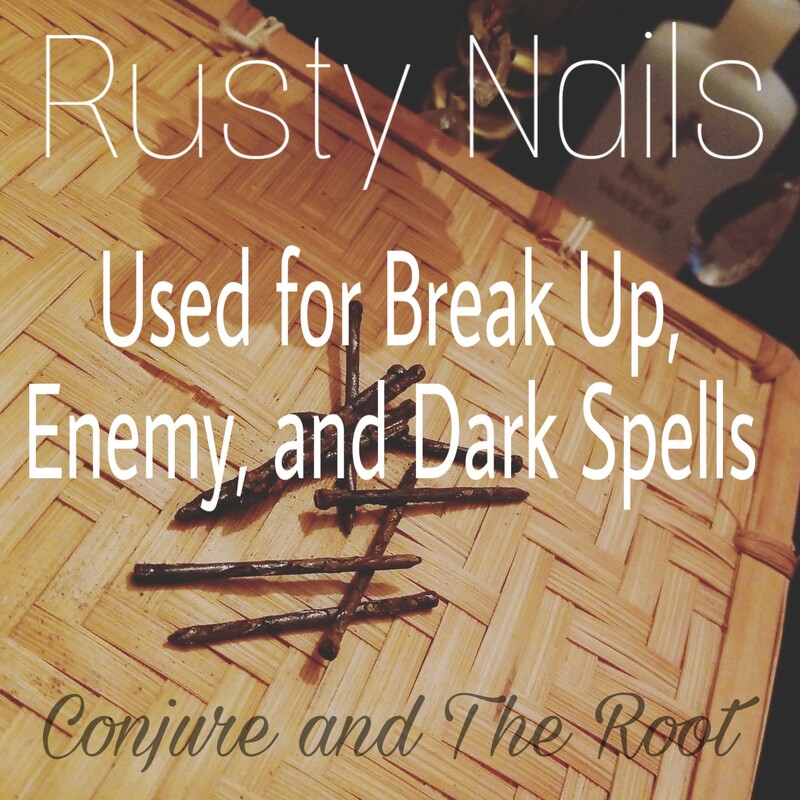 Another example are railroad spikes, used as heavy duty nails to nail down and secure something like a piece of property. 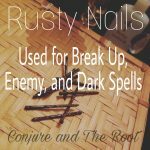 Coffin nails or rusty nails can be used in break up spells and souring jars. Alligator teeth and feet can be used for gambling hands. 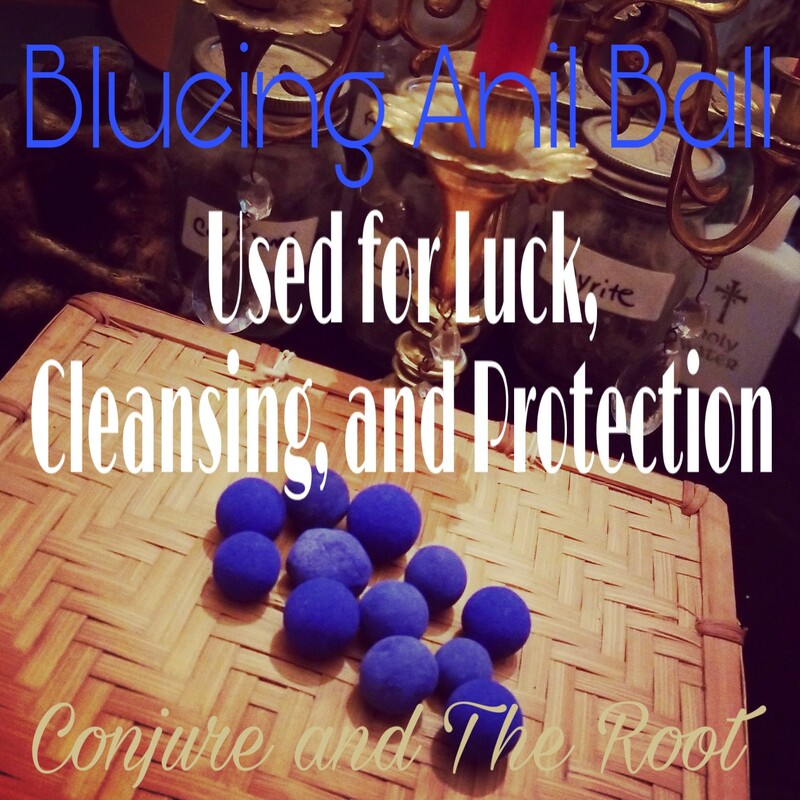 Whole nutmeg can be used in a gris gris bag used to bring in luck in money. There are dozens of types of curios all holding specific purposes magickally. 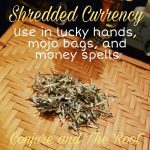 When deciding on how to use a particular curio, think about what the curio is, where it came from, it’s natural properties, etc. 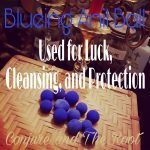 This is the first clue in learning how to use the curio in your spell work.